26 July 1978. Issued in the UK only, to celebrate the 'Queen's Award For Industry For Export Achievement'. 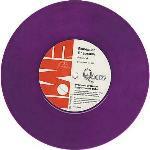 The single was also later re-pressed on purple vinyl, as a fan-club only issue in 1995. 1981. Issued in Spain only to promote 'Greatest Hits'. November 1984. Scheduled but unreleased in the UK, and released but withdrawn in Ireland. 1985. 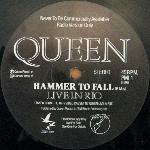 Issued in the UK only to promote 'Live In Rio'. 1986. Given away at the 1986 UK Fan Club Convention. 1986. Issued in the UK and France only, to promote 'Live Magic'. April 1989. Given away at the 1989 UK Fan Club Convention. 1991. Issued in the USA only to commemorate the end of the Gulf War, so presumably issued in March 1991. 1991. Issued in the USA only. Both the sleeve and disc state that it contains one track, but it contains two. 1992. 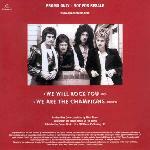 Issued in the USA only, to promote the 'Classic Queen' album. 1993. Issued in the Netherlands only, presumably to promote the Five Live EP. 25 November 1996. 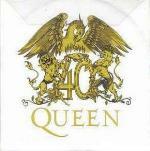 Issued in the UK only, to winners of a competition on Virgin Radio to mark the fifth anniversary of Freddie's death. Each single was a one-sided 12" single, limited to just 15 copies, some of which were signed. 1997. 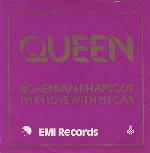 Issued in France only, presumably to promote the 'Queen Rocks' album. 1997. 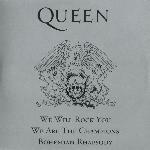 Issued in the UK only, to promote the 'Queen Rocks' album. 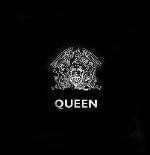 This CD features 12 tracks; the first is an intro by Brian, and the last is a full 27 minute interview with him, recorded on 6 November 1997, which features 'I Can't Live With You (1997 Rocks Retake)', 'Seven Seas Of Rhye' and 'No-One But You'. The remaining 10 tracks are various excerpts from the interview. 1998. Issued in the USA only to promote the 'Crown Jewels' boxed set. 1999. Issued in Switzerland only, in association with the Swiss Tourist Board, to promote holidays to Switzerland. 2001. 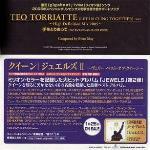 Issued in Taiwan only, after the track was featured in the film 'Meteor Garden'. 2001. Issued in the USA, Canada and Spain only. 2002. 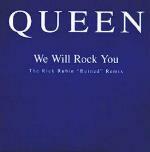 Issued in the UK only, to promote the 'We Will Rock You' musical and the reissued 'Platinum Collection' boxed set. 2003. 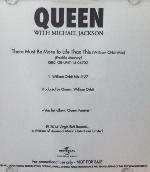 Issued in the UK only, to promote the 'Greatest Video Hits II' DVD. 2003. Issued in Australia only, to celebrate the rugby world cup. 2003. 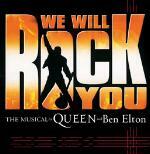 Issued in Australia only to coincide with the opening of the 'We Will Rock You' musical. 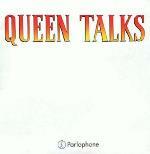 All tracks are the Queen versions, taken from 'The Platinum Collection' boxed set. 2003. Issued in Spain only to promote the boxed set of the same name. 2004. 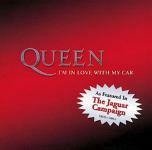 Issued in the USA only, to coincide with the track being used to promote Jaguar cars. 2004. Issued in Austria only to coincide with 'We Will Rock You' being used in Pepsi adverts. Four promo CD's were issued, the first three CD's each focused on one of the three guest female artists - Beyonce, Britney or Pink. 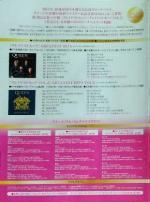 The fourth CD was a general CD featuring all of them. 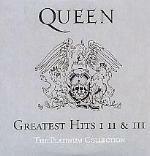 Each CD featured the same Queen material but featured different tracks by the guest artists. 2004. 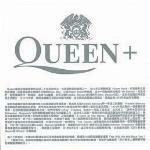 Issued in Taiwan only to promote the 'Jewels' album. The CD was housed in an A5 folder. 2004. 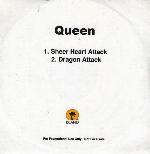 Issued in Japan only to promote the 'Queen On Fire - Live At The Bowl' releases. 2004. 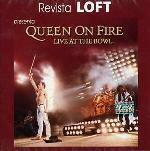 Issued in Mexico only, for the 'Loft' magazine anniversary party, and to promote the 'Queen On Fire - Live At The Bowl' releases. The CD sleeve was used for entry to the party. 2005. 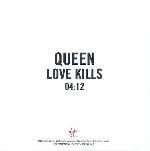 Issued in Japan only, to promote the 'Jewels II' album. 2007. 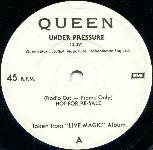 Issued in the UK only, to mark the 30th anniversary of the original release. 2009. Issued in Ireland only, to promote the 'Absolute Greatest' album. 2011. 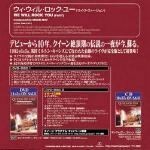 Issued in Japan only, to promote the 'Greatest Hits' and 'Greatest Hits II' reissues. The CD was housed in an A4 folder. Probably May 2011. 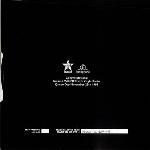 Issued in the USA only, to promote the first wave of reissues. Probably June 2011. 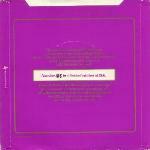 Issued in the UK only, to promote the second wave of reissues. Probably November 2011. Issued in the USA only, to promote the third wave of reissues. 2014. 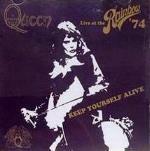 Issued in the USA only, to promote the 'Live At The Rainbow '74' album. 2014. Issued in the Netherlands only, to promote the 'Forever' album. November/December 2014. 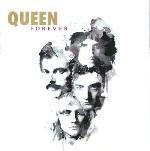 Issued in the UK, USA and Europe, to promote the 'Forever' album. The US promo included the same track 3 times. 2014/5. Issued in Europe (2014) and the UK only (2015), to promote the 'Forever' album.